Why do my incoming emails show the wrong time? Had this come up with a client recently. His email inbox was constantly showing the wrong time for incoming emails. He could receive an email at 2 pm, and yet when he looked at that email, it would show that it arrived at 9 pm. In fact, he demonstrated the problem while he was here at my home office. I sent him an email, it showed up in his inbox, but the “arrival time” displayed was several hours into the future. He had been dealing with this mystery for quite some time before telling me about it. Of course, the first thing he checked was the date and time for the computer itself. Those were correct. The problem was that his time/date was incorrect inside his email settings. This applies to any of the Microsoft-related email services: MSN, Hotmail, and Outlook.com (note: Outlook.com is Microsoft’s web-based email service – not the MS Outlook software that comes with Office). 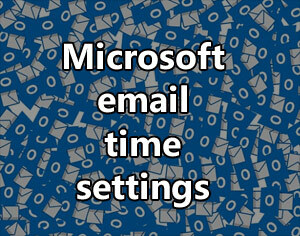 For each of these services, there’s a setting that allows you to designate a particular time zone that you want to use just for email purposes. 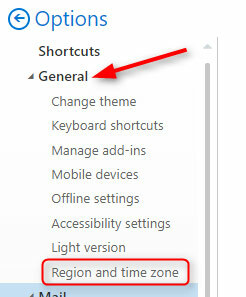 This is a separate setting from the traditional time zone setting in Windows. 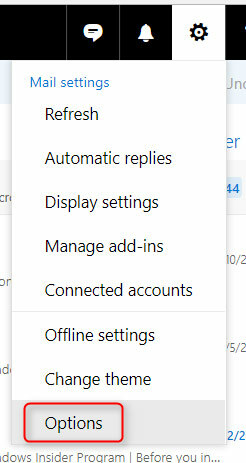 Now you can click on “Options” in the top left and you’ll go back to your email Inbox, ready to work. 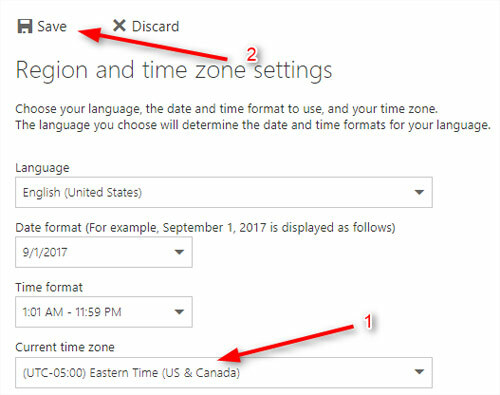 Here’s a question for you – why would you want to change the time zone in your email program, but not for your computer in general? Leave a comment below with your opinion.